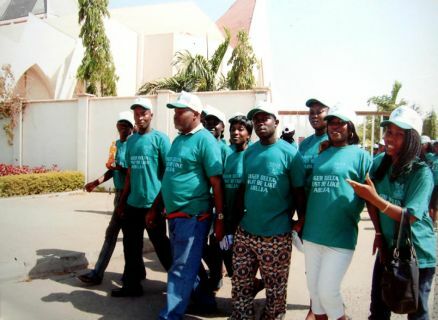 NAIFS members matching to the church and beside them is the Central Bank of Nigeria building where Niger Delta oil money are kept. 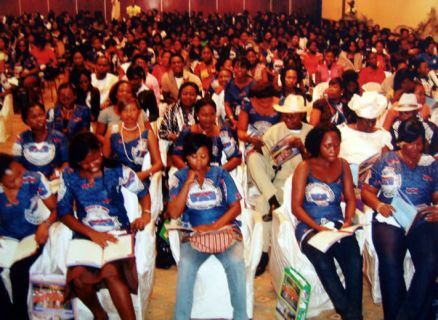 Niger Delta women leaders that were part of the Vice President’s Wife entourage. NAIFS outgoing President and Queen, Miss Florence Kalio and Miss Cynthia Pepple and Patron during the NAIFS opening ceremony. Miss. Ijaw presenting the Niger Delta Book of unemployment compiled by Comrade Evah to the wife of Vice President during the convention. 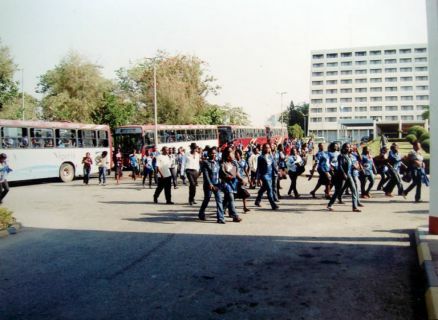 NAIFS members in their thousands coming out from buses at Sheraton Hotel and Towers. 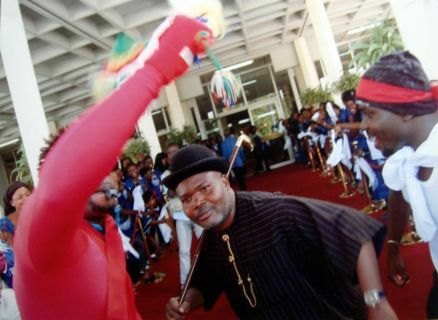 Founder of NAIFS Comrade Evah dancing with a walking stick on the high table during the Ogele dance. All hail the queen as she steps forward for the final battle. 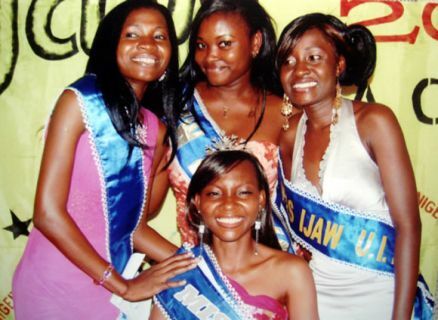 (R-L)Miss Mary Nagberi, Alumni member, Miss Mary Ebikeseye, New Miss Ijaw, Miss. Veronica Abbey, Comrade Joseph Evah and Miss. Faith Omukoro and Nothern vice President, Miss Bilikisu Odoko. Comrade Evah and Vice President's Wife Dame Patience Jonathan. NAIFS members listening to Grand Patron Comrade Evah's instructions at the Bayelsa House Abuja. Panel of Judges during the Miss. Ijaw contest. The three finalists at the Miss. Ijaw 2009 race. 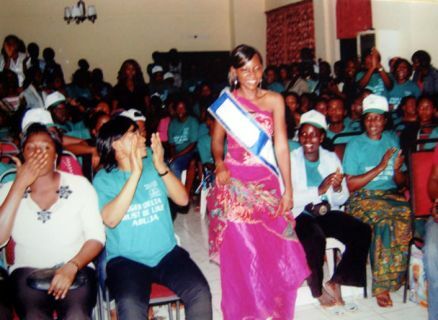 The contest was won by Veronica Abbey of University of Jos. Comrade Evah introducing NAIFS President and outgoing queen to the Wife of the Vice President. Comrade Evah and Cross section of NAIFS members after church service at Ecumenical Centre Abuja. Comrade Evah preaching as the General Overseer in the Ecumenical Center Abuja. Ijaw leaders awaiting the arrival of the Vice President’s wife. Oronto Douglas, Hon. 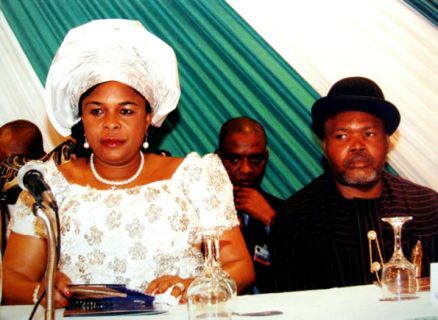 Dickson, Mrs. Akogun, Mrs. Goodluck, Comrade Evah and Mrs Vicky Djevudu (Guest speaker) at the convention. Comrade Joseph Evah, (Coordinator of Ijaw monitoring Group and founder of NAIFS), 2009-2011 Miss. Ijaw and Northern Vice President (NAIFS) Miss. Bilikisu Odoko. Comrade Evah Explaining to the press why the Niger Delta struggle was moved to the church. 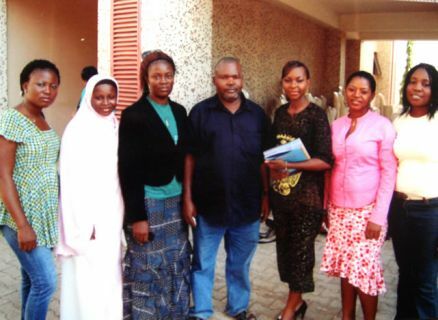 Behind him are the NAIFS members in the Abuja church. NAIFS members inside Abuja wonderland to relax and enjoy themselves. Comrade Joseph Evah conducting NAIFS 2009-2011 elections. Comrade Timi Igoli giving the Grand Patron Award to the outgoing President. 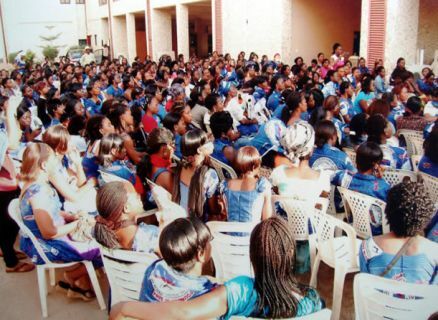 Cross section of beauties during the Miss. Ijaw contest. Panel of Judges preparing results for the Miss. Ijaw contest. 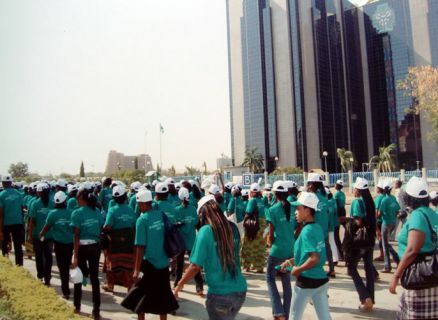 Cross section of NAIFS members listening to the patron before the opening ceremony. The three finalists and the outgoing queen before the crowning of the new queen. Miss Ijaw contestants ready for the crown. Ijaw beauties dancing during the pageant in Abuja. 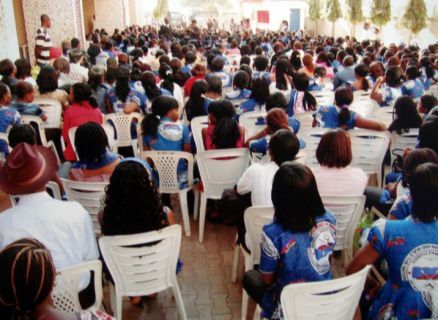 Federal Polytechnic Nnekede Chapter at the convention. NAIFS chapter Presidents awaiting the arrival of the Vice President’s wife.